← Dishwasher Making Weird Noises? What can one do to try to avoid having to experience this nightmare? Short Sale the property! A successful Short Sale can result in a win-win scenario for all parties involved. A Short Sale is an opportunity for the Mortgagor to try to prevent any version of the foreclosure nightmare while trying to actively mitigate the losses for all involved. A successful Short Sale handled by a Real Estate Attorney may result in the Bank or Lender releasing the lien of the Mortgage and also canceling (forgiving or writing off) the Promissory Note and providing a full release of their deficiency judgment rights. The best outcome of a Short Sale is the issuance of a 1099C which concept shall be left on the table for future discussion. 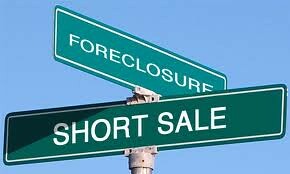 To conclude, Short Sale vs. Foreclosure? Short Sale should be chosen every time. Actively try to mitigate your losses. If you are in foreclosure, it is not too late. Most Borrowers in foreclosure can proceed with a Short Sale and most of the time it really is not too late. The Banks and Lenders welcome the Borrower controlling the process of liquidating the collateral for them. It is considered one less property that may have to go back into their inventory (if it doesn’t sell at the foreclosure auction), which would then require maintenance and carrying costs. Also, if it results in a successful Short Sale, it is one less “bad asset” than can be taken off of their books. Posted on July 31, 2013, in Legal and tagged Annette Giardina Haber, Attorney, Bonita Springs Real Estate Attorney, Cape Coral Attorney, Cape Coral Real Estate Attorney, Dellutri Law Group, Estero Real Estate Attorney, Foreclosure, Fort Myers, Fort Myers Attorney, Fort Myers Real Estate Attorney, Lawyer, Legal Schmegal, Property Guiding, Real Estate Attorney, Short Sale, SWFL Real Estate. Bookmark the permalink. Leave a comment.